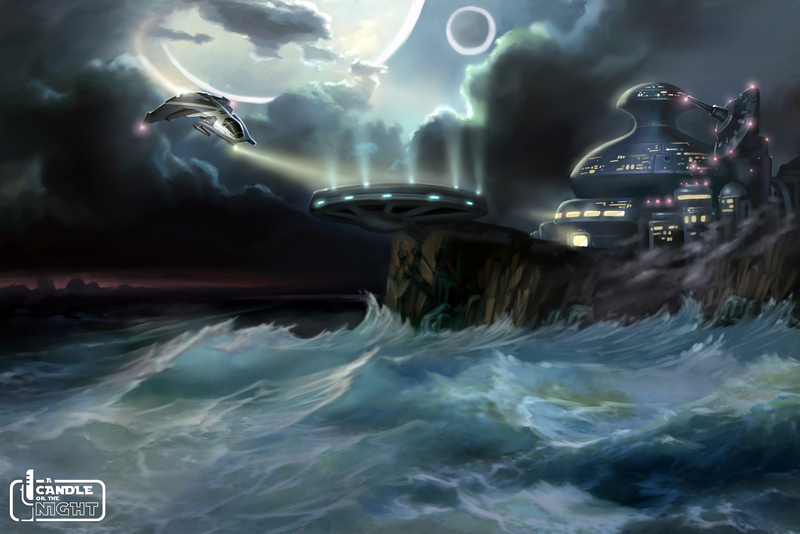 Slide 1: (Artist: Igor Avdeev) The Errant Seeker navigates the rough and stormy night to land on a top-secret black book facility owned by Arakyd Industries. 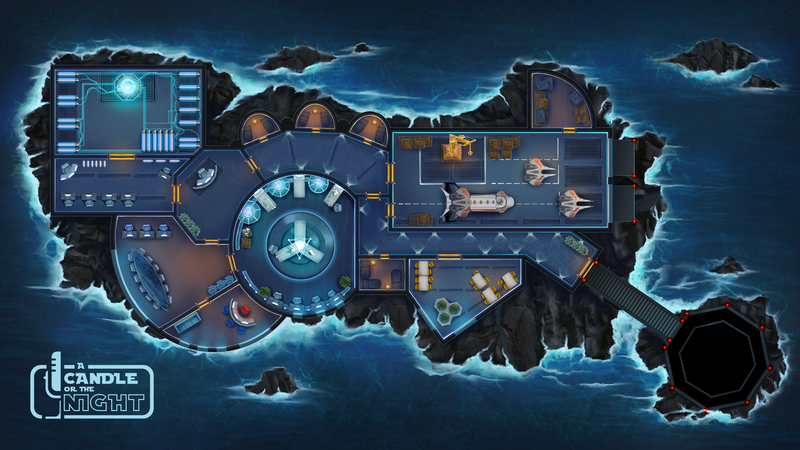 Slide 2: (Artist: Yulia Yanishevska) Map artwork of the interior of the Sembla II droid research facility owned by Arakyd Industries. The party is hired by the smuggler baron and weapon industrialist Gellyth Hawk (of Hawk Enterprises) to recover a prototype technology that was stolen from him. This technology was for a revolutionary miniature utility droid he codenamed R.E.M.U.S. (Repulsorlift Enabled Multi Utility System) that integrates into a suit of armor, which serves as its controller. The Crimson Dawn stole the technology from one of Mr. Hawk’s facilities and sold the tech to Arakyd Industries. It is currently being reverse engineered on a top-secret Arakyd facility on Sembla II. The party must coordinate to come up with a ruse sufficient to infiltrate this facility, recover the R.E.M.U.S. tech, and wipe the computer core of all associated schematics before they can fully reverse engineer the droid. Amongst other rewards, Mr. Hawk has extended the offer for Kip to wear the technology in the field and partner on its ongoing development, should they be successful.